Spellhaven is no more, but its spirits remain. In the dining room, Tilda set out the silver, mostly jugs and pots she and Alick had been given as wedding presents. Helping the servants clean the silver had been a treat to her as a small child, growing up in the country. From the beginning of their marriage, she and Alick had never had what the previous generation would have regarded as a satisfactory complement of servants and Tilda had reduced her household still further after Alick’s death. She had decided then that cleaning the silver would be a task she could take on herself, though she did not do it often enough. ‘They don’t want to be companions to a boy, a namby pamby weakling. They say they were better off wandering lonely on the Heath. Once I got used to the way they talk, I begged them to tell me how to release them, but they only laughed. Tilda Gray hates Spellhaven, the city where her husband was born, even though she has never set foot in the place, and she does not believe in the magic it’s supposed to have held. Now her husband is dead, she would rather avoid any mention of the city. But her sons, Nicholas and James, have befriended Hugo, a young boy threatened by forces none of them understand. When Hugo’s uncle and guardian, Stephen Cole, visits the Gray family to ask for help, Tilda agrees against her better judgement. Between them, as they search for ways to banish or at least help Hugo cope with the ghosts that are driving him mad, they seek out the dubious aid of the exiles from Spellhaven. In doing so they must face new dangers and unknown magic, unlike anything Tilda could have believed possible. Stephen Cole would never have asked for help on his own account, not from strangers and especially not from a woman and a couple of young boys. Since his slow recovery from his experiences in the trenches during the First World War, he had devoted himself to his work at the Bar and had spent little time in the company of women or children. But the help was for his nephew, Hugo, and by the time Stephen arrived at the Grays’ house in Highgate one Sunday morning in November 1933, he did not know where else to turn. When he was shown into the drawing room, Stephen looked round to try and gain an impression of the family. He decided that the room had been decorated about ten years ago and hardly changed since then. The yellow and grey curtains had lost their bloom and the wooden feet on the armchairs were scuffed, but the parquet floor round the carpet was thoroughly polished, as were the tiles inset into the fireplace. Mrs. Gray must have had skilled and hardworking servants, not as easy to find as they would once have been. Botanical illustrations hung on the panelled walls. Stephen had no time to notice more before Mrs. Gray entered the room. Her appearance took Stephen aback. When he had been told she was a widow, somehow he had pictured a middle-aged woman, dumpy and depressed. Maybe he had been thinking of Queen Victoria, even though he had seen enough war widows in the early days of his practice to know they came in all shapes and styles. Matilda Gray was tall for a woman, with light eyes and a pointed chin. Her pale brown hair was bobbed and smooth. She wore a fawn twin-set and a brown skirt, not new or fashionable but shapely and trim. Hugo lived at school all term, and often in the holidays as well, but Stephen had been told that the Grays were weekly boarders. ‘The boys are at breakfast, Mr. Cole.’ Mrs. Gray looked as wary of him as he was of her. Stephen folded himself into the nearest chair as his hostess settled down opposite. ‘Did the school send you here?’ She sounded politely incredulous and he did not blame her. ‘…Spellhaven is an intriguing novel with no easy answers or way out, which means you can keep rereading it and drawing different conclusions every time. Jane is never going to be entirely happy and settled in life – but would she ever have been, even without her magical summons? Sandra Unerman lives in London in the UK. When she retired from a career as a Government lawyer, she undertook an MA in Creative Writing at Middlesex University, specialising in science fiction and fantasy, and graduated in 2013. Since then, she has had a number of short stories published. Her latest stories are in Sword and Sorcery magazine, June 2017, and Fall into Fantasy, an anthology from Cloaked Press. 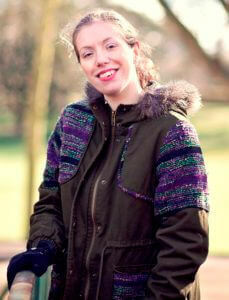 She writes reviews and articles for the British Science Fiction Association and the British Fantasy Society. She is a member of London Clockhouse writers and other writing groups. Her interests include history, folklore and medieval literature.